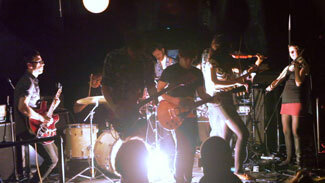 Industries of the Blind is a post-rock band located in Brooklyn. When this team of talented musicians come together, they create a very cinematic ambient style rock. This web promo spotlights the release of their album “Chapter 1: Had we Known Better.” Available now! Utilizing the compact nature of two Canon HDSLR cameras, BKMH’s crew squeezed into a venue crowded by many dedicated fans to capture live footage. From the success of this promo we expanded our production department to incorporate live performances. Industries of The Blind is currently mixing Chapter 2 to be released soon, so keep an eye out. © Brooklyn Media House, LLC.